Our club was established in the early 70's. We meet every third Sunday Winter and Summer alike. By arriving at 9.30 a.m. this gives members and friends ample time to book in, have a snack, and be ready to shoot by 10.00 a.m. It pays to arrive early, rather than late, because, if all 8 stands have been thoroughly checked by the Safety Officer, then the Claxton horn to commence shooting could well be blown by 9.45 a.m.
At Fingringhoe we only shoot sporting layouts. Whilst competition is extremely keen, over a period of thirty plus years, no one has ever shot a 50 straight. We have a most varied age group, all seem to enjoy the competitive spirit, and even more so, each others company. Any new member would be briefed on all aspects of safety. Scores would be clarified, a quick workout would soon determine what group he/she would be able to compete in. A word of warning!! 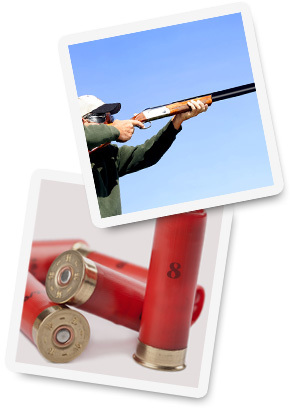 The sport of clay pigeon shooting can soon become enjoyably infectious.